The Free McKinsey Problem Solving Test is a multiple choice test made of 1 business case and 9 questions, both maths and logic. You are provided with information in the form of texts, tables and exhibits to enable you answer the questions, like in the real test. In addition, it is calibrated to the reproduce the level of difficulty of the actual test by continuously gathering feedback from candidates who take the PST. To make the most of this practice test, we strongly encourage you to take it under real conditions. You should neither use a calculator nor scrap paper and perform this test of 9 questions under 20 minutes. 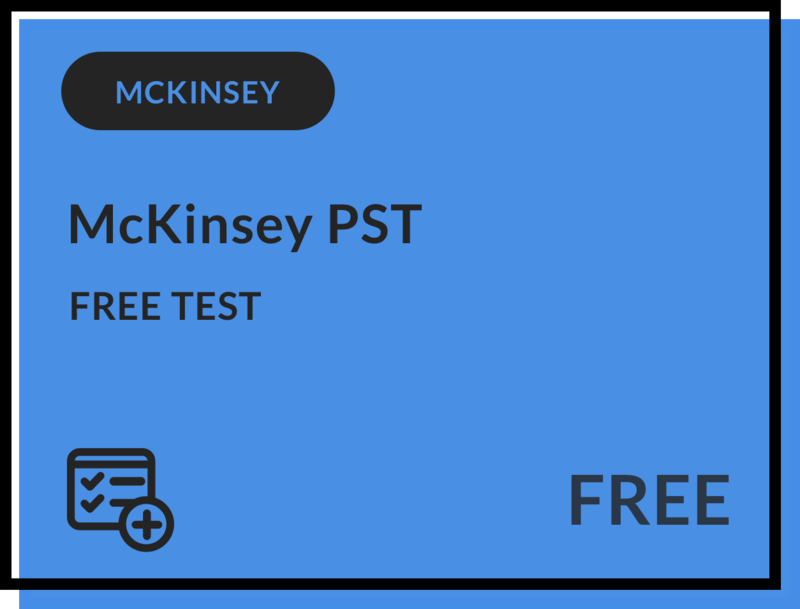 The Free McKinsey PST includes detailed answers and special tips that explain you how to approach questions and save time. Studying these detailed answers and tips will help you make the most of your preparation and improve your score. Feel you need to practice more to reach the passing score? Have a look at the McKinsey PST Training Programme specifically designed to make you succeed at the McKinsey Problem Solving Test.